Thanks to Robin Low. Episodes have individual titles. 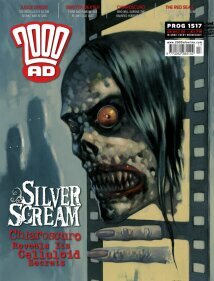 Part 14 in 2000AD Prog 2007. Not in Progs 1520, 1521, 1522, 1523, 1524, 1525, 1526, 1527, 1528.